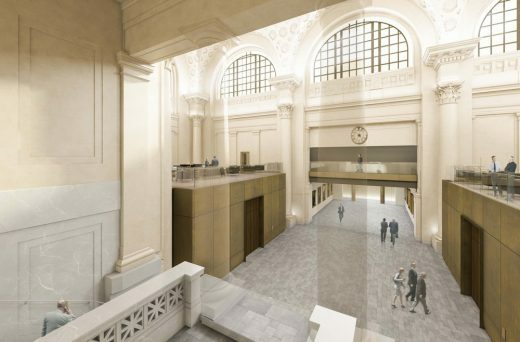 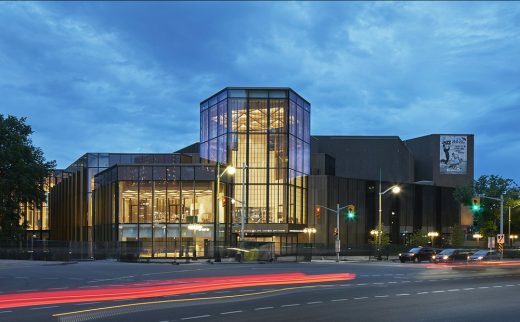 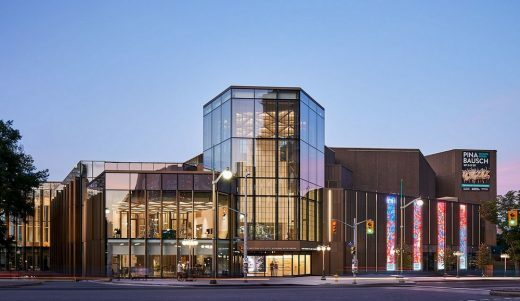 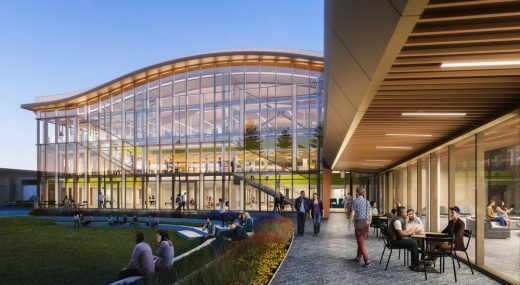 This project was done in collaboration with the University of Toronto Daniels School of Architecture. 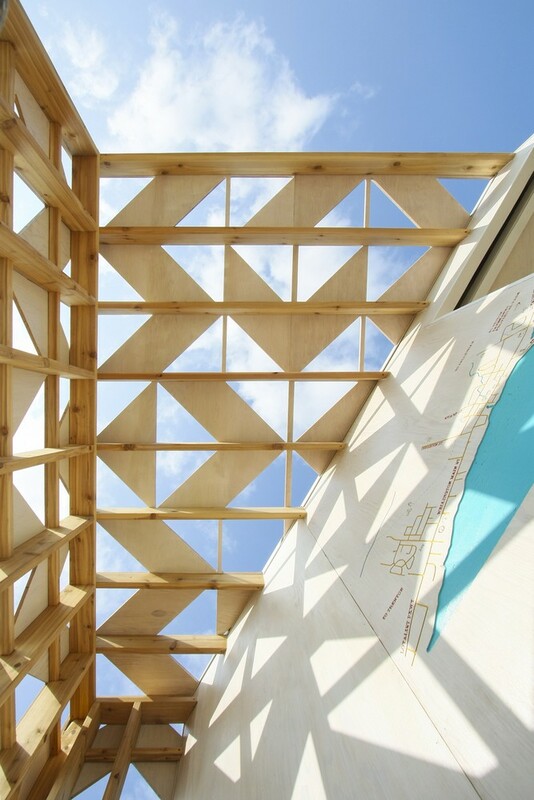 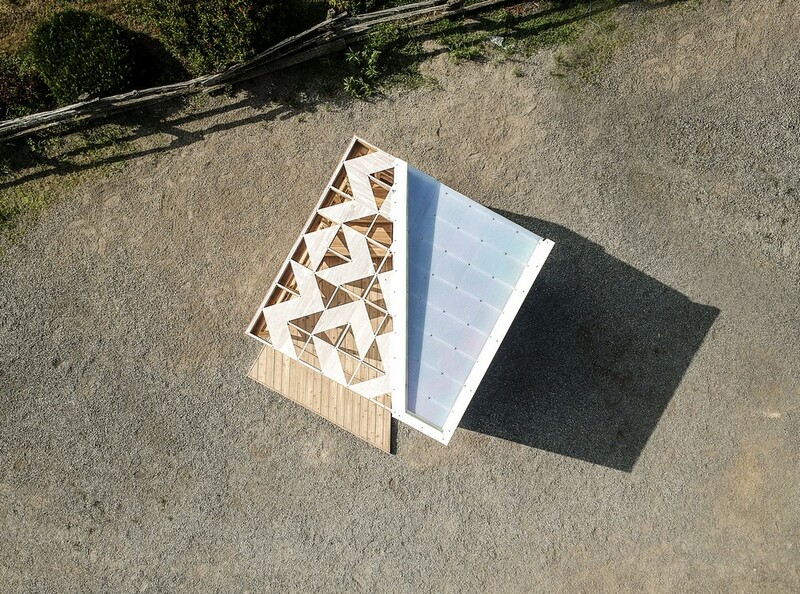 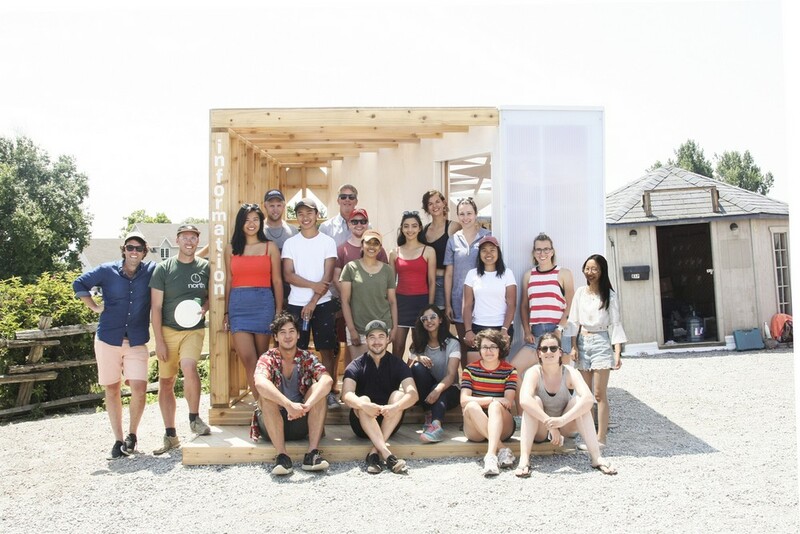 Over a 2 week period, Studio North led a design build seminar with the aim to create a new Welcome Pavilion for the village of Wellington, Ontario. The design build team consisted of Sessional Professors Mark Erickson and Matthew Kennedy of Studio North, Teaching Assistant Allison Home-Douglas, and 15 undergraduate Architecture Students. The success of the project depended on working closely with local community members who helped the team learn about the unique traditions and culture of the village, and also provided help and support with procuring local materials and craftspeople. 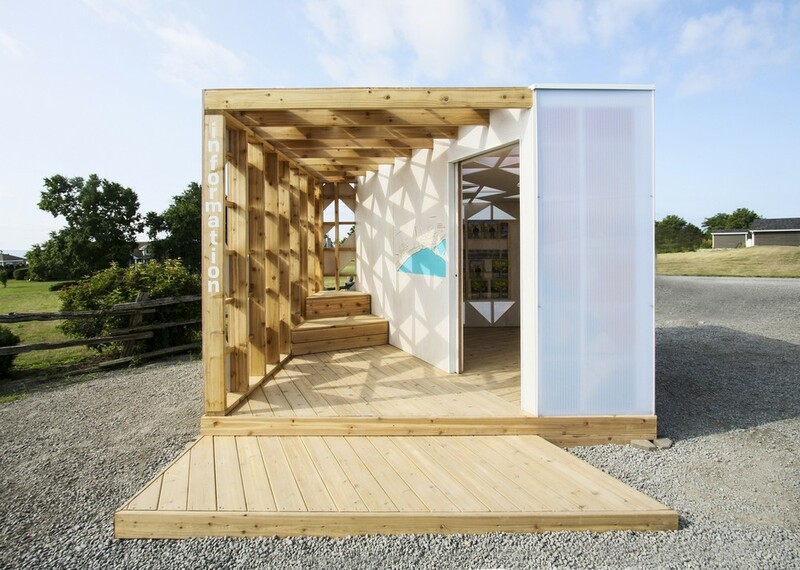 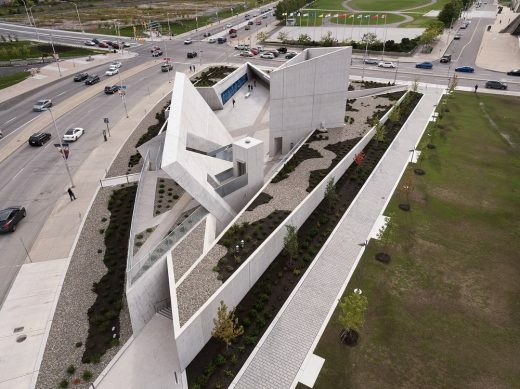 This 100 sq ft. structure functions to welcome visitors to Wellington and Prince Edward County, providing a place to gather maps, pamphlets, and information about the area. 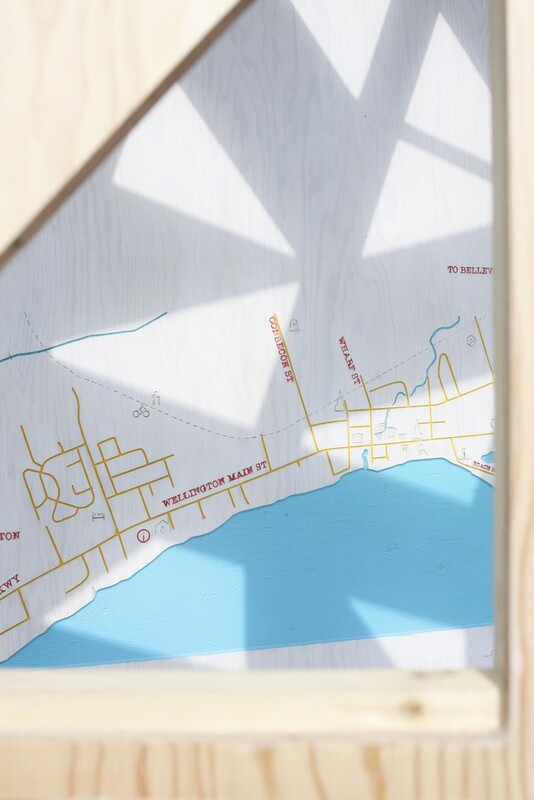 The space is divided in two, one half acting as outdoor public space with a shade structure, benches and a map of the town. 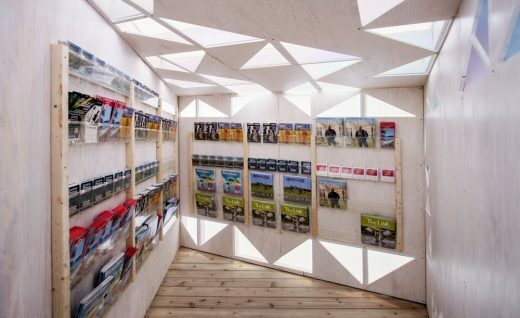 The other half is interior, acting as a place to protect and house guidance and promotional materials. 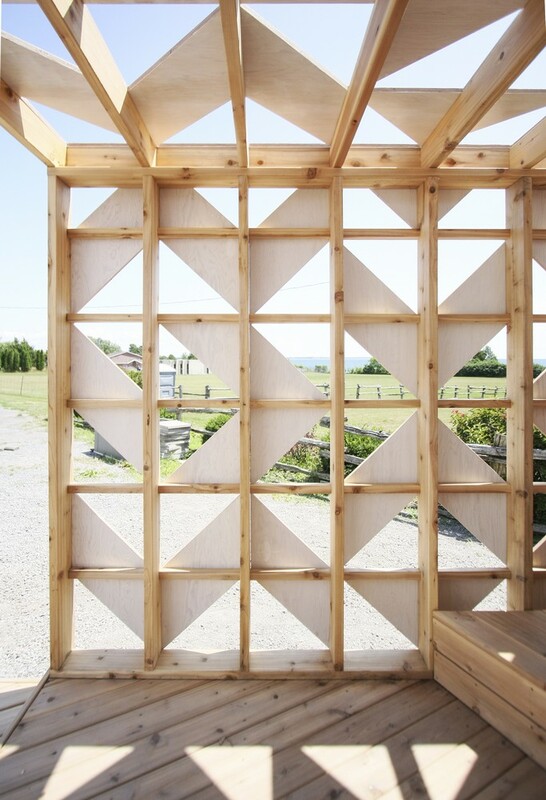 The design is inspired by barn quilts; a local craft and tradition unique to the county. These quilts have colourful geometric patterns that express the character and quality of the place, akin to family crests that distinguish one building from the next. 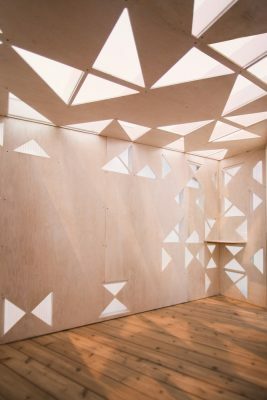 We used the geometric language of these quilt patterns as inspiration for the CNC milled plywood screens that wrap the entire building. These screens paint the middle dividing wall with intricate shadows that transform throughout the day and the season. The interior half of the pavilion is clad with semi-translucent polycarbonate, which allows for diffused sunlight to penetrate through the plywood screen and wash the interior with natural light. 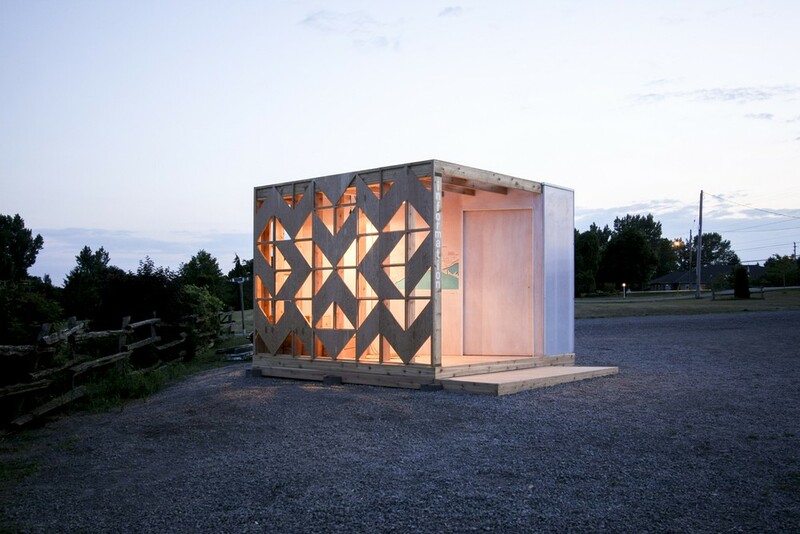 On the interior, the backside of the plywood screen is painted with bright colours that reflect back in to the interior with subtly hued light, which transforms throughout the day as the sun moves across the structure.